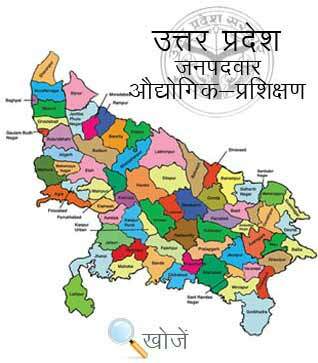 Hamirpur is the third least populous city of Uttar Pradesh. It’s a part of Chitrakoot Division. It provides quality education to the students. To understand the requirement and need of technical education Govt. has opened Industrial Training Institutes in the city as well to provide technical as well as non-technical education to the students so they get better job opportunities. They offered more than 130 trade courses with 6 months to 2-year duration to the students. Finance Executive, Marketing Executive, Fitter, Turner, Computer Operator, Counseling, Process Cameraman, Travel and Tour Assistant, Agro Processing, Web Designing etc. are the variety of courses offered by these technical institutes. The city has 3 Govt. ITI’s and 3 Private ITI’s. Vyavasayik Pareeksha Parishad (www.vppup.in) Uttar Pradesh is responsible for conducting the entrance examination for admission to various trades in ITI’s. Students can also visit website www.upiti.in as well that provides all the necessary details regarding admission, important notifications, results, online downloading application forms etc. to save their precious time. The minimum qualification is matriculation and age is up to 14 years to enroll in these courses. After completing ITI, students can go for the Apprenticeship Training and get paid monthly as well.